On the island of Kyushu, you'll discover a unique world- part of Japan, but far away from the dazzling lights of Tokyo or street food found in Osaka. Kyushu features a subtropical climate, with warmer temperatures than Japan's largest and most populus island of Honshu. Winters tend to be mild, and Japan's famous cherry blossoms bloom earlier here than regions further north. One of the most incredible and unique aspects of Kyushu is just hot many hot springs are found on the island. Boasting the most Onsen hot springs in the country, the island has several interesting Onsen-related activities and sights. The "hells" of Beppu are a group of hot springs intended for viewing rather than bathing. Each has its own interesting backstory or beliefs surrounding it. 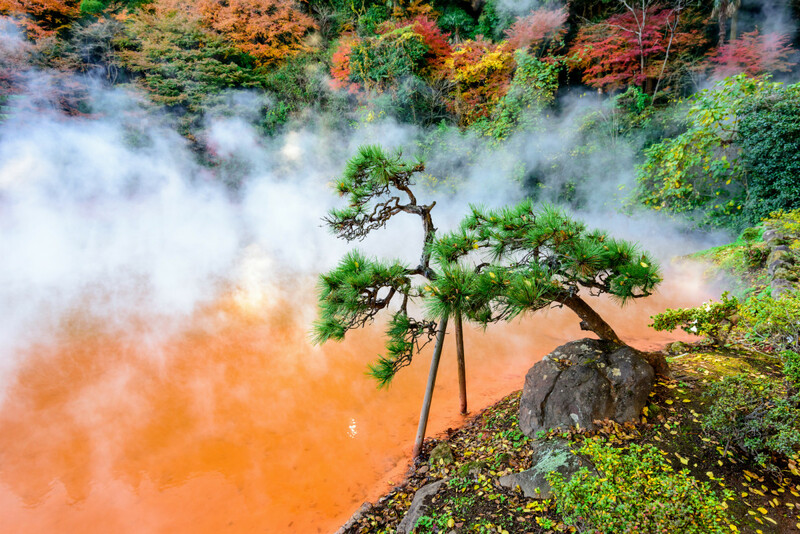 Pictured here is Chinoike Jigoku or "blood pond hell" a name born of its appearance. 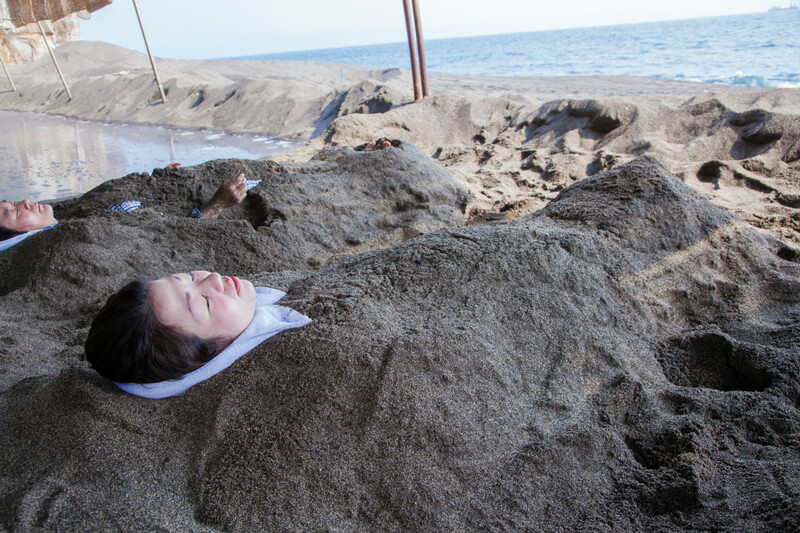 Ibusuki, Kyushu is one of the few destinations where visitors can actually be submerged in hot volcanic sand for a sand bath, believed to remove the bodies impurities and soothe the individual's mind, body, and soul. Yakushima Island is located just off the coast of Kyushu, part of Kagoshima Prefecture. 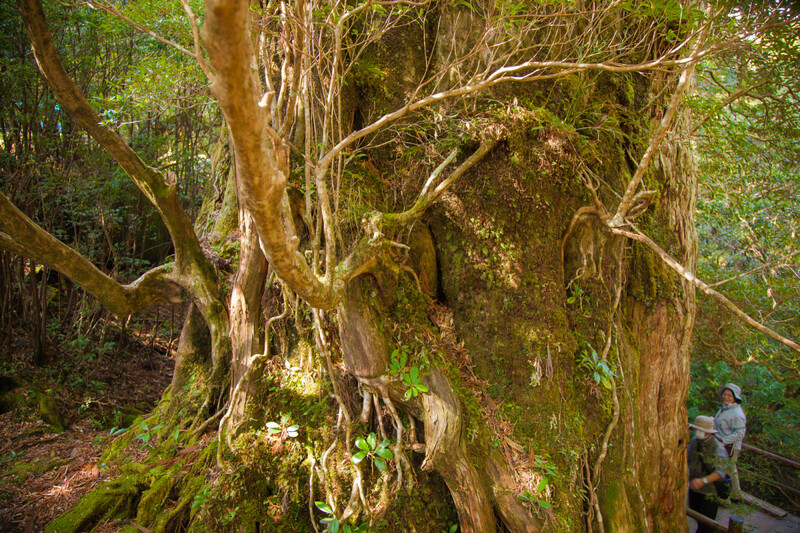 When walking through the moss-covered and wooded areas of Yakushima, visitors will be greeted by massive cedar trees, many of which are believed to be more than 1,000 years old. Often referred to as mystical, mysterious, or enchanted, Yakushima Island served as the inspiration for Hayao Miyazaki's animated film "Princess Mononoke," showcasing the thick forest filled with ancient trees.